Are you looking for some amazing nail inspiration – then look no further! 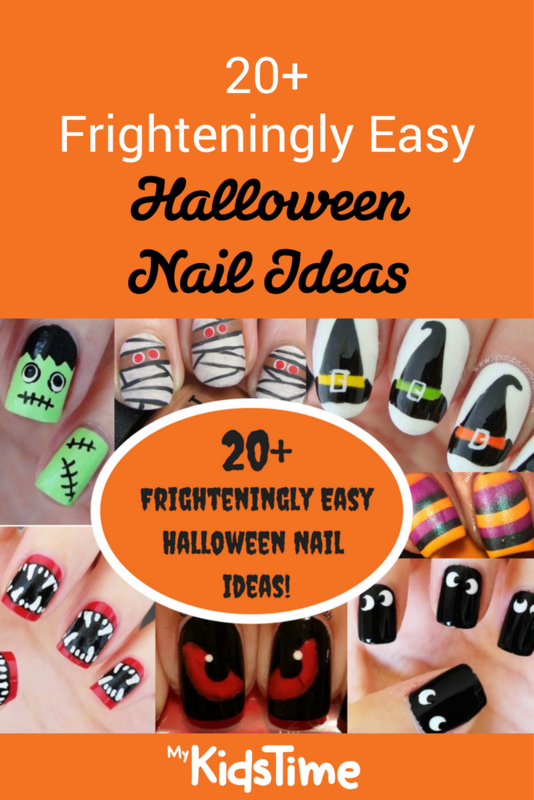 We have compiled a list of 20+ frighteningly easy ideas for Halloween nails that will delight all ages. Take a look at these amazing ideas for a fang-tastic manicure! 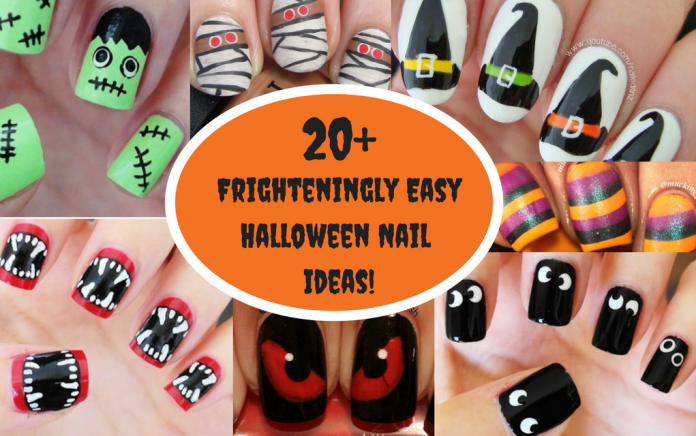 From ghosts to pumpkins, and spiders to slime, you’ll find the perfect finishing touch for your Halloween costume, as well as lots of ideas for fun with the kids. All you need to create these Halloween nails are a variety of nail polish colours, some fine point paintbrushes, nail varnish remover, and a nail art ball tip tool (which is easily found online). Creating this look could not be easier – and Miss Jen Fabulous has a video tutorial to show you how to perfect this look (and a few others). 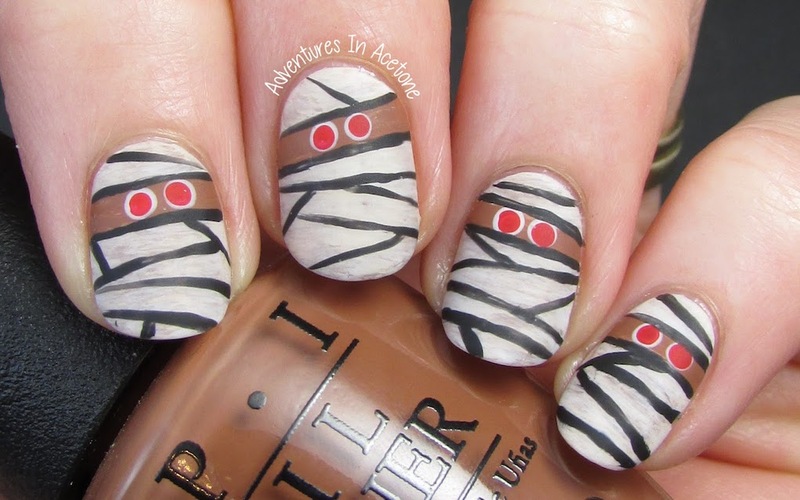 These spooky mummies by Adventures in Acetone are far from gruesome – in fact, they’re pretty cute! These spooky nails from Miss Jen Fabulous are simple but highly effective, and perfect for kids too. 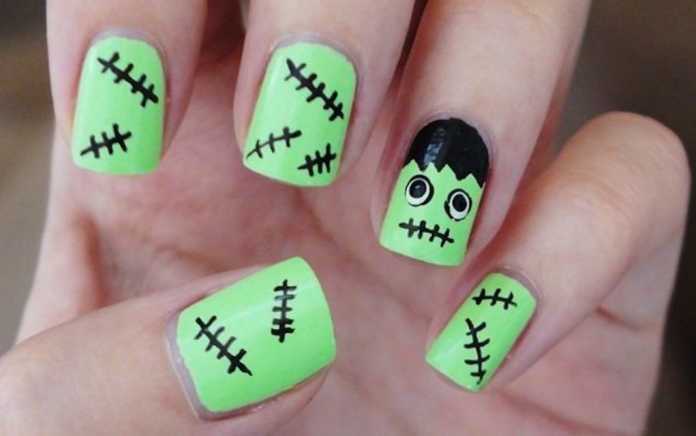 Spooky swamp monster nails are perfect for eerie Halloween style! Check out the tutorial from Elleandish and create your own little monsters! 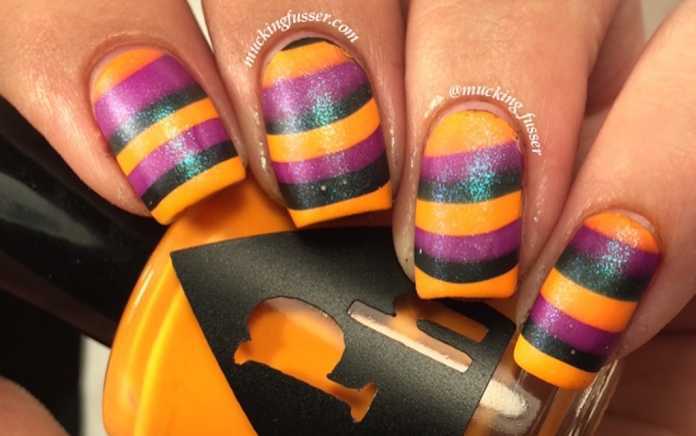 If swamp creatures and ghouls aren’t for you, what about trying some Halloween colour combos like this marbled creation from Mucking Fusser. Perfect for little witches! 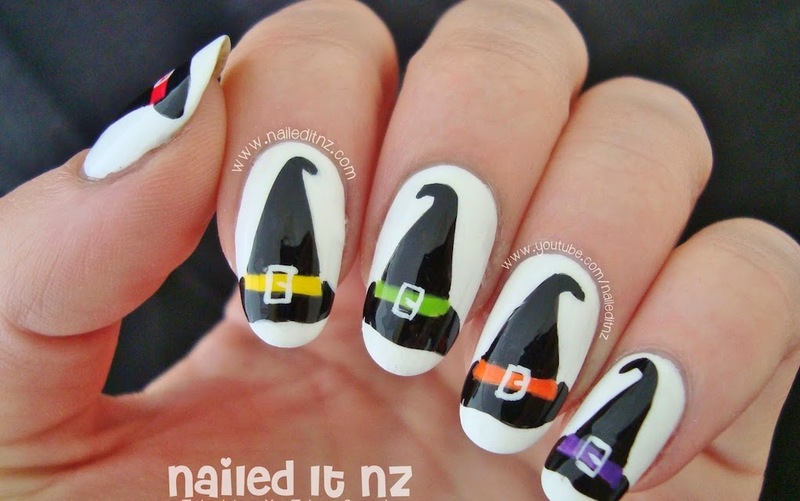 You can create this look easily at home with this tutorial from Nailed It NZ. 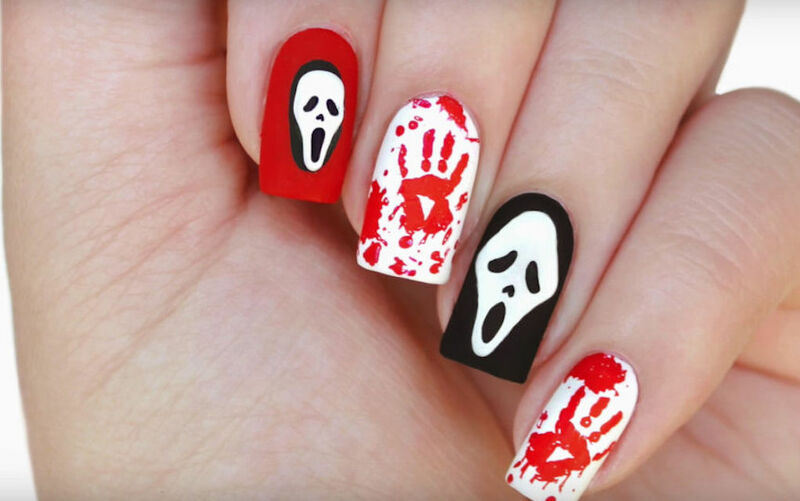 Seriously spooky! 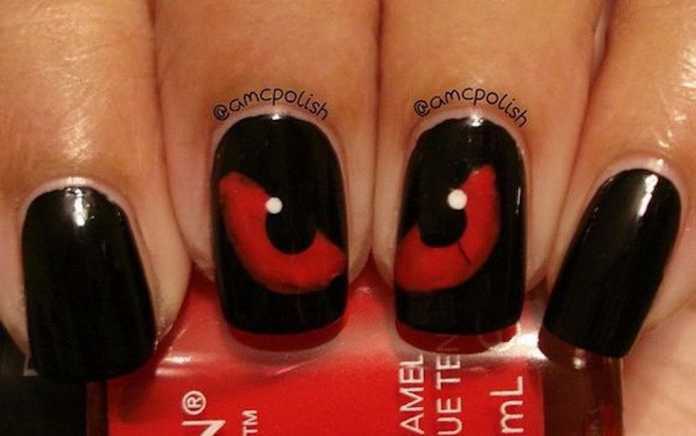 We love this look from AMC Polish that is both glam and terrifying at the same time. Taking inspiration from the Scream movies, these nails from JauntyJuli are terrifyingly good! 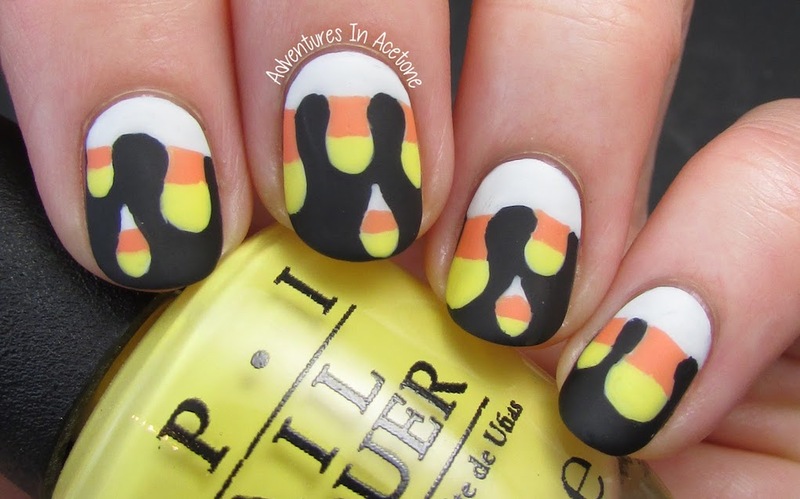 Adventures in Acetone has created a spooky candy corn nail art idea that actually looks like it’s dripping! 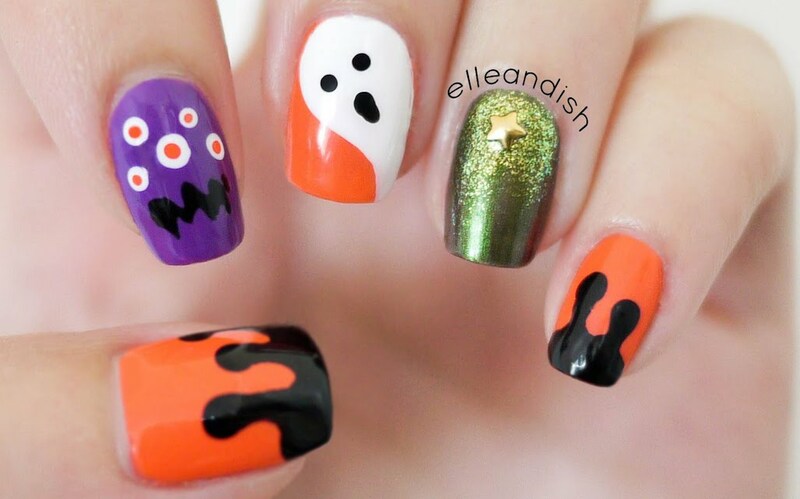 Several spooky Halloween looks in one quick tutorial from Elleandish – and no tools required! 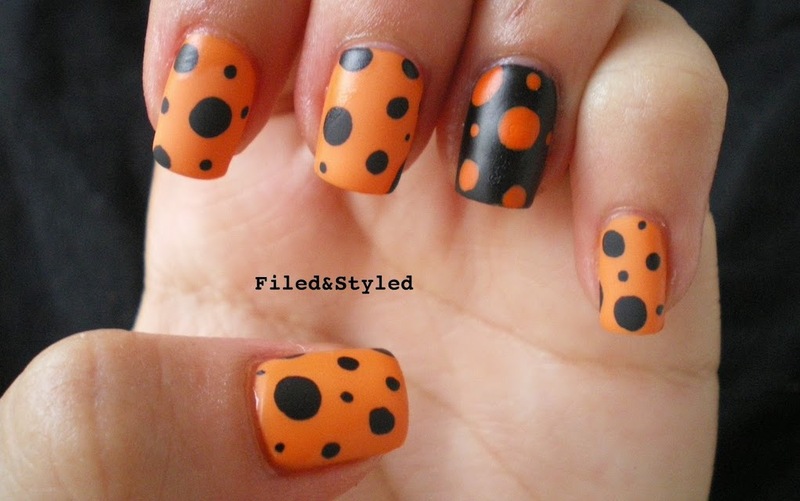 Filed & Styled kept it incredibly simple, but very impactful, with an orange and black spotty combo. 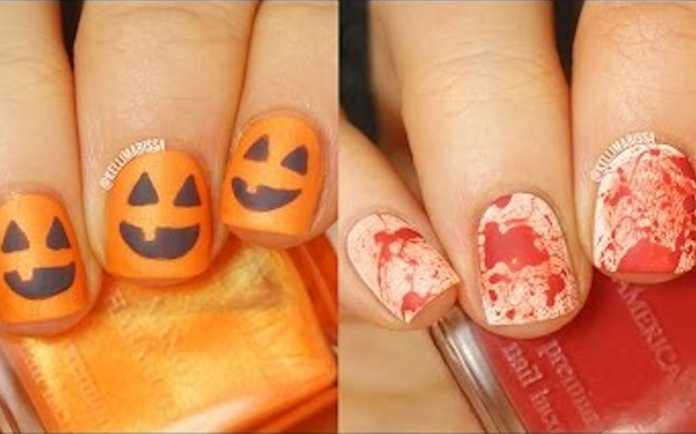 This is such a fun, seasonal look – and easily achieved thanks to Lacquertude’s tips! Absolutely terrifying! Miss Jen Fabulous manages to create a really scary vampire look that is hauntingly good. Eek! 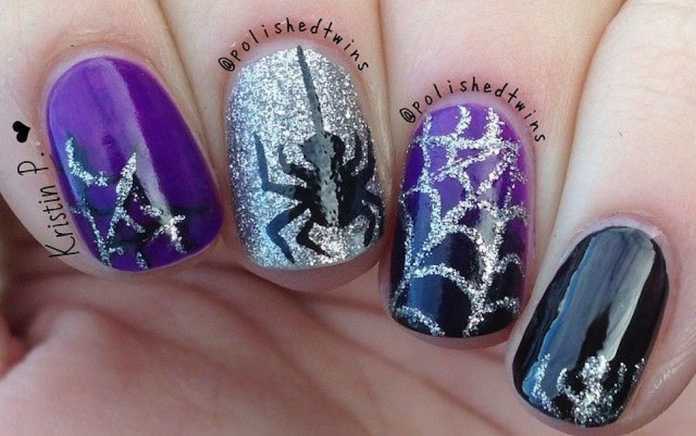 Polished Twins came up with this spider and web combo, using seasonal purple and black, with silver accents for added oomph! In this easy tutorial, Kelli Marissa actually creates two great Halloween looks – a Jack-o-lantern with gappy-toothed smile, and a crime scene-style effect that will certainly spook! 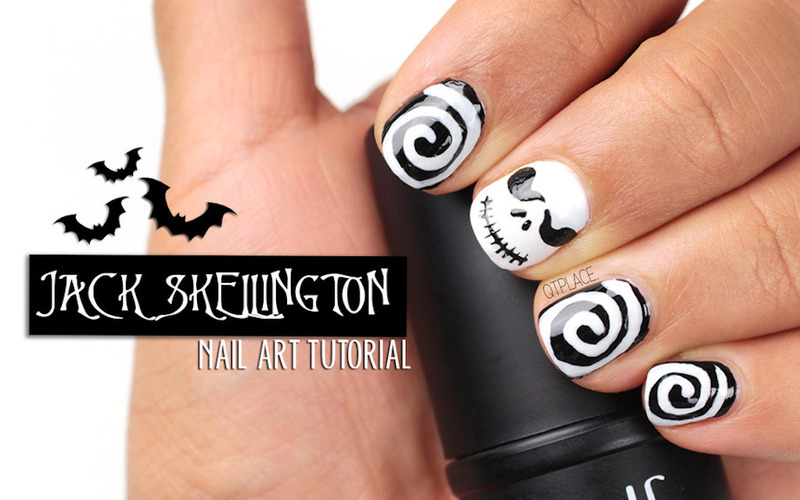 This Jack Skellington creation by QTPlace is an impactful monochrome idea to suit any age. These bloodshot eyeballs are super creepy. NailedItNz definitely got the spooky factor with these ones! Why have one more idea when you could have ten? 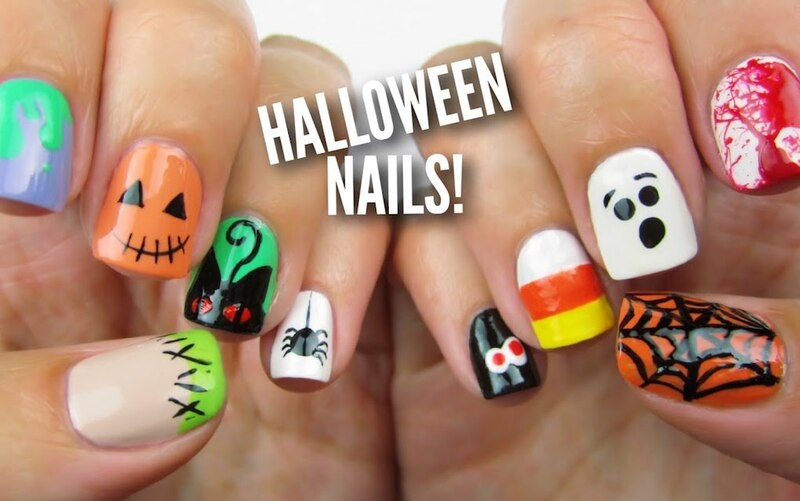 In this quick video tutorial, Cute Polish shows you how to create a whole range of Halloween nails that are perfect for adults and kids alike. We love the little incy wincy spider! 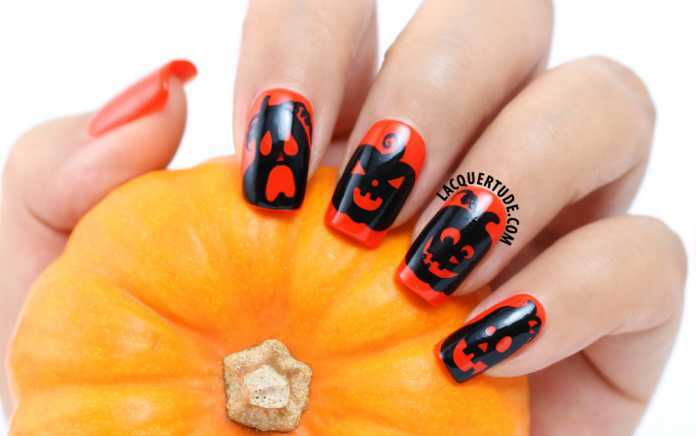 Which of these Halloween nails is your favourite? Are you a fan of a spooky look, or perhaps something cuter? Leave a comment below and let us know – we’d love to hear from you!